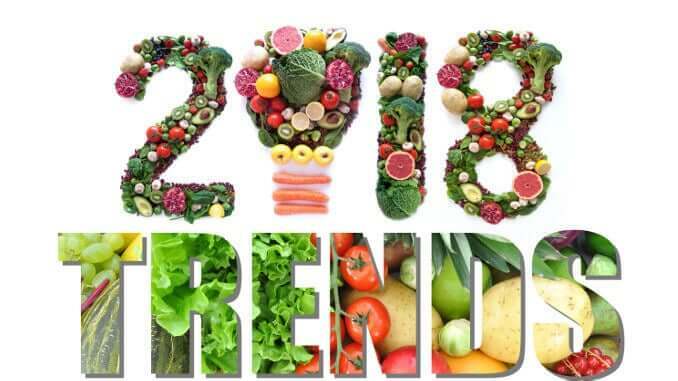 A recent market report by Infiniti Research has highlighted the top trends in the vegan food industry in 2018. The report concludes that vegan food has already become mainstream and is no longer a niche market. The market experts believe that the strong spread of veganism worldwide is the reason for the constantly growing demand for these alternative plant products. But it’s not only the vegan movement which is making a significant contribution to this trend. In general, many consumers today are more conscious than before and are more aware of health and nutrition issues. They want healthier and more sustainably produced food and attach great importance to environmental and animal welfare. The food industry has also long recognized this trend and over the last few years a real boom in purely plant-based food has been observed. In addition to the many small food start-ups which enrich the market with their innovative products, large producers such as Nestlé and Danone have also significantly expanded their vegan product ranges. But the retail trade has also recognized the increasing sales potential of vegan products – many large supermarket chains are currently expanding their offerings in this segment. Infiniti Research now considers vegan food to be one of the “cornerstones of the grocery store”. Animal-free meat is one of the food trends that has become mainstream in recent years. In the past, there has been an enormous increase in innovative, plant-based products in this area. For example, the popularity of meatless burgers has increased significantly, with brands such as Impossible Foods and Beyond Meat. These companies are expanding rapidly and are now collaborating with many restaurants and grocery stores. Laboratory-grown meat (Clean Meat) is also gaining ground and attracting the interest of many consumers. Activated carbon is one of the most innovative and healthiest vegan nutrition trends. Activated carbon is known for removing toxins from the body and increasing well-being. It lowers cholesterol and supports digestion. Vegan food producers have brought foods such as charcoal ice and water onto the market, and these are very popular amongst the vegan population. Fat is back in fashion. Vegan foods with a high fat content, such as avocados, coconuts, nuts and seeds, are becoming increasingly popular with consumers. Compared to industrially processed products, these vegan alternatives ensure that consumers absorb healthy fats that are not harmful to their bodies.